Facial fillers like Restylane, Restylane Lyft and Juvederm injections can provide patients with many of the same benefits of facelifts and other plastic surgery procedures without having to undergo surgery. Dr. Ben Talei, a dual board certified facial plastic surgeon at the Beverly Hills Center for Plastic & Laser Surgery is who residents of Los Angeles turn to for excellence in Restylane, Restylane Lyft and Juvederm injections and other non-surgical & non-invasive treatments. These facial fillers can add much needed volume to thinner lips, provide a perfect solution for recessed scars and restore the natural contours of the face. Restylane, Restylane Lyft and Juvederm have been around for many years and have a proven track record of success for many patients. While facial injections and fillers are not permanent solutions to the aging issues you may face, they can be a shorter-term solution to avoid having to undergo an invasive surgical procedure before it’s completely necessary. 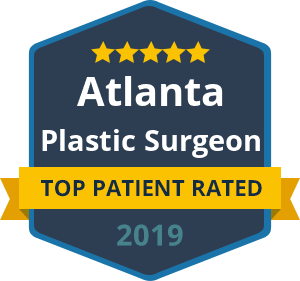 Dr. Talei is a specialist in his field with a rare skill-set and expertise in both surgical and non-surgical procedures to restore his patients to a more youthful, rejuvenated appearance. He has dual fellowship training in facial cosmetic and reconstructive surgery and vascular birthmarks and congenital anomalies with laser surgery, giving him the upper hand in both knowledge and expertise. To learn more about the benefits, contact our Restylane, Restylane Lyft, Juvederm injections specialists at the Beverly Hills Center for Plastic & Laser Surgery to schedule your consultation with Dr. Talei. He can examine your areas of concern and determine if you are a candidate for these injections. During that time, you can explain your goals for the treatments so that he knows the best plan of action.